Please contact us for availability pricing below, large and small quantities are in stock. 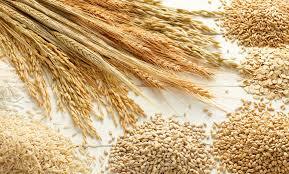 Grain is to expensive to ship and is sold locally only in the Heart of the Kootenays. more readily than can other kinds of food crops such as fresh fruits, roots and tubers. Buckwheat: 11.34 Kg ($50.00) 20 Kg ($95.00) certified organic, available in the Kootenays. At Cook Shoppe, Trail BC, and Country of Origin: Canada. Available in the Kootenays at Cook Shoppe, Trail BC. Purchase from Cook Shoppe from our home in the heart of the kootenays to yours. Certified organic grains in the Kootenays. Popcorn: 11 Kg ($45.00) 1 Kg bag $4.00 Certified organic.